Field Marshall Erwin Rommel. Tactical genius, master of armoured warfare and a true German, his name became synonymous with innovation, risk taking and improvisation. During the North African campaign in World War Two, his leadership of the Afrika Korps earned him the nickname The Desert Fox. This was the name given to the 1951 movie starring esteemed actor James Mason as Rommel, a role he reprised in 1953 in The Desert Rats alongside Richard Burton. 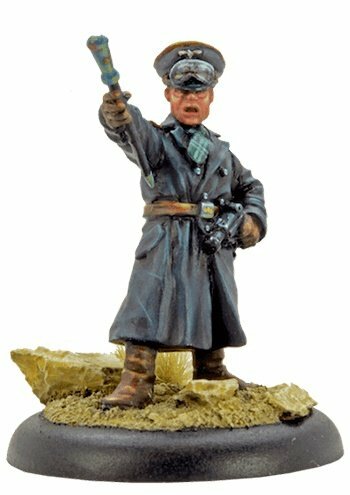 Our figure tries to capture the essence of Mason’s performance and the quintessential core of Rommel himself: a dynamic leader who sought to inspire his men and wasn’t afraid to put himself in harm’s way.